The company’s share price rose just over 20 percent on the news that it has locked down a funding and development agreement with USA Rare Earth. 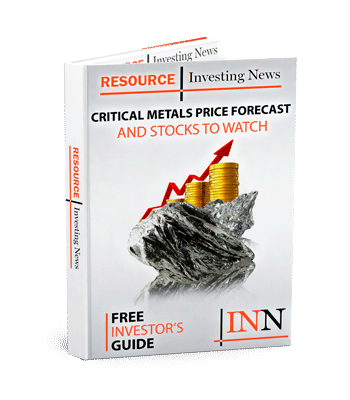 Texas Mineral Resources (OTCQB:TMRC) has secured a funding and development agreement with USA Rare Earth for its flagship Round Top rare earths project. The agreement will see USA Rare Earth, a privately held US and Australian investment group, contribute up to $10 million towards the project through two tranches. The first, consisting of $2.5 million, will go towards finishing optimization of separation and purification processes for the different elements found in the deposit. The second tranche will entail USA Rare Earth spending $7.5 million to fund a bankable feasibility study (BFS). Once the BFS is complete, the firm will earn a 70-percent interest in Round Top, and will then gain the option to earn an extra 10-percent interest through a $3-million cash payment to TMRC. “This is a transformative transaction for TMRC,” Chairman Anthony Marchese said in a statement. China is the world’s largest rare earths producer by far, and the US is just one major country that does not currently produce these materials. A preliminary economic assessment (PEA) completed in 2013 shows Round Top has a net present value of $1.47 billion, along with an internal rate of return of 69 percent and a payback period of 1.5 years. Capital costs are set at $292.7 million, and include a complete on-site rare earth oxide separation plant. Texas Mineral Resources is currently working to update the PEA so it includes lithium, uranium, beryllium and other elements not included in the 2013 PEA. Completion is scheduled for Q1 2019. Round Top is expected to include up to 12 critical minerals at full production, including scandium, magnesium, manganese and others. At close of day on Wednesday (November 21), Texas Mineral Resources’ share price was up 20.83 percent at US$0.29. To date its share price has risen nearly 40 percent.